Here is a microscopic view of pond water. This is similar to what Anton van Leeuwenhoek saw when he examined pond water under a microscope. What type of unicellular organisms can you see here? 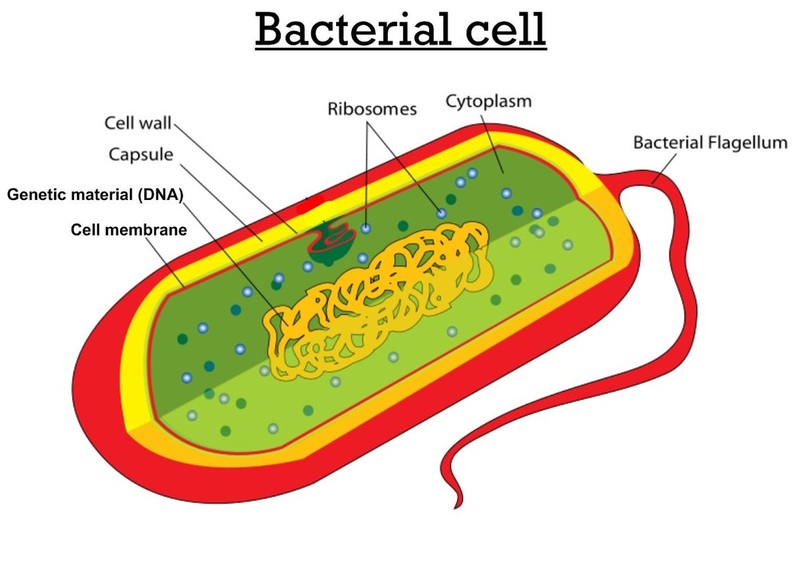 Parts of a Bacterial Cell Below is a diagram that shows the different parts of a bacterial cell. How is this similar to our (animal) cells? 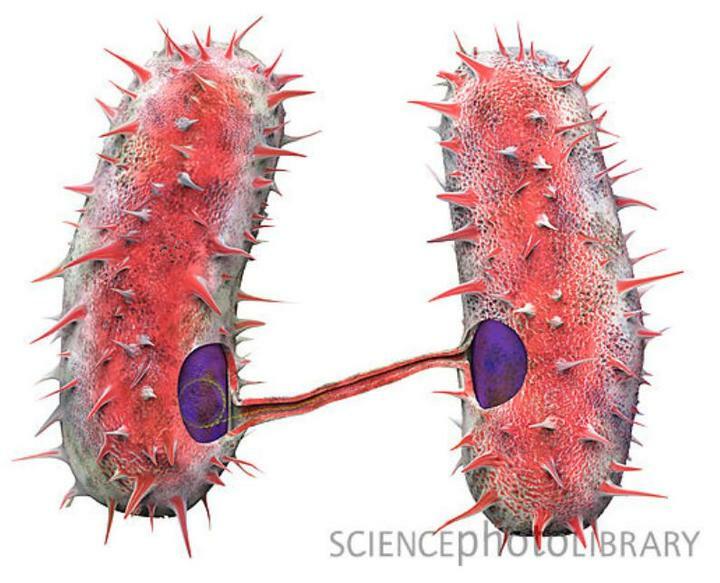 How is this similar to plant cells? The first way they can reproduce is through binary fission. The second way bacteria can reproduce is through conjugation. This is a method of reproduction in which one bacterium transfers some of its genetic material into another bacterial cell. This is an example of sexual reproduction, where there are two parents and the offspring has a new combination of genetic material (DNA) that are genetically different from their parents.